Hi everyone I'm Jack Red, I am an big fan of Metal Gear series. Some of the absolute finest video games in existence. These are legendary in their respective field. Words alone can't do this enough justice. I decided to give you today two top lists for fellow Metal Gear fans like myself. I officially played all the major Metal Gear games to date. I hope you can respect my opinion on these topics. Now you could also consider these my reviews of every game featured. First up let's do Top 4 Big Boss Games. I'm not including Metal Gear Solid: Portable Ops for many reasons. Even if I did include it some would argue to keep it off. So I'm only talking about four of five games you play as Big Boss. This is the shortest Big Boss game on this list. I could hit it hard for being so short in comparison to other games. I actually prefer all side ops more than the actual campaign. Which only had one mission that involves rescuing two people. Surprisingly you get big locations to search around for an game this short. It will take you an while to get use to it's new features. Even some old Metal Gear fans took some time getting use to it. There is an great story with good cut scenes. You are mostly on your own for the most part. Only side ops has bosses which most of them are vehicles. I felt they did an great job for trying make up for waiting longer for the rest of MGSV. The most recent game featured on both lists. Metal Gear Solid V: The Phantom Pain is an mix experience. Yes this does improve on some issues I had with Peace Walker. This game gives you so much to do on & off missions. I felt most main ops missions seem more like side ops. Why because they didn't really connect to the actual story at all. Only an handful of main ops missions do. Most bosses are flat out unfair. You will need a lot of ammo & need to work fast. They really keep you on your feet with little room of error. Only Eli aka Liquid Snake is easy regardless which boss fight you do. Your companions in the game do help in an big way. I would have to say D-Dog & Quiet are my favorites. This does a lot during missions in terms of open ended game play. But I must agree with most fans. There's some serious plot holes that sadly won't be answered now. After completing Episode 25 comes one of the absolute worst Metal Gear moments. The game will on purpose stall you to fix an crisis of an disease outbreak. This requires knowing what's the connection to those infected & who to transfer to quarantine zone. Guess what that makes up an very large amount of your total army. To sum it up your levels on each section will go down several levels. You have to beat Episodes 26 to 29 as fast as possible. If even one people with that connection isn't transferred or you didn't do them fast enough. You will lose a lot of people on your base at an fast rate. This is horrible how they went about that concept. I really don't like missions that may seem clear at first. Then you realized there's a lot more going on. For example you have to find to either save or kill your targets. Yes D-Dog does help in this areas but it doesn't change the fact you can still easily fail it. You could do an second campaign for the true ending. However you are playing harder versions of missions you already completed. What's the point of doing those again? I will say this is an good game just not an great Metal Gear game. Originally released on PSP to almost an year later ported on PS3 & Xbox 360. Metal Gear Solid: Peace Walker does follow an few years after Portable Ops. Although this game's event was more important. Unlike Metal Gear Solid V, Peace Walker did connect all main story missions very well. They did an amazing job telling it's story. Yes this is not only the longest Big Boss game but positively the longest Metal Gear game in existence. Most side ops missions are worth doing with an great level of challenge. Again most bosses are vehicles with some being giant robots. You do face heavily armored soldiers several times. You get better rewards for completing missions. Yes this game is easily the most difficult Metal Gear game I ever played. I did play a little of it's online versus & coop. Both works very well with plenty of content to go an long time playing. Yes this does strict your locations but makes sure you don't fail by doing too far in most missions. You can capture people as well as vehicles. They did an amazing job bringing an long PSP game to those platforms. Easily one of the best soundtracks in the entire series. I really could go on about how much I love this game. I still don't like how hard that torture button mashing is. I thought MGS1 on PlayStation's was tougher at first until I played this. This game alone makes Big Boss worth caring for. This is an worth successor to such an amazing game. Also the briefly last few missions for the true ending are worth doing. In my opinion this is not only the best Big Boss game but also the best Metal Gear game. Everyone has their favorites, mine always was MGS3. Everything imaginable is done perfectly for this game. It still blows me away today how good this game is. This is the earliest in the time line that left such an big impression. 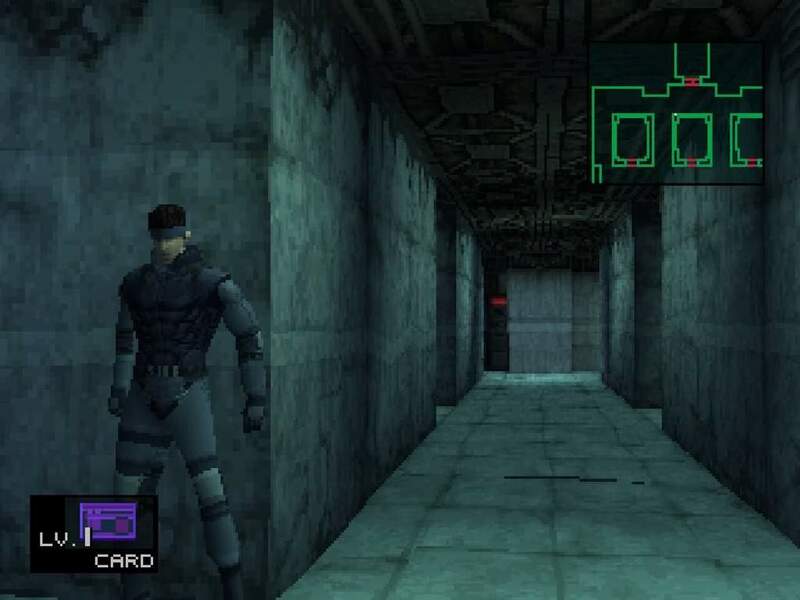 In most areas I would honestly pick this as the definitive Metal Gear experience. It is so good that I can't find anything major enough to criticize it. I saved the better of two lists for last. Top 5 Solid Snake Games is really worth playing all five of them. In fact I would pick those over Big Boss games in an heart beat. These are very impressive games for their time. I am mostly talking about Tanker chapter. Snake Tales were created in later versions. mostly because almost everyone wanted Solid Snake to be this game's main character. I wasn't an big fan of Snake Tales. Tanker chapter is one of the shortest Metal Gear games if you are only playing that. There's only two bosses Snake fights in his portions. I do enjoy a lot of exploring with such great story. Can I be honest I prefer Tanker chapter over Plant chapter for many reasons. It just really works for what it is. Of course we have to talk about the original Metal Gear game. I played this from Metal Gear Solid HD Collection. An classic game that not a lot of people would like. But I do see Metal Gear fans enjoying this. Memorizing several parts of the game plays an huge part in it's fun factor. Most bosses are okay with Metal Gear being the best. Once again there's an great story even with it's translation being a little off. I do enjoy listening to sound effects & songs. This game is complex yet simple to understand. It can hard if you don't know what to do. There's plenty of rememberable moments in this game. It's no contest Metal Gear 2: Solid Snake was better than the original Metal Gear. This game actually pushed MSX for an very impressive game. Especially made in just three months being this good. This requires more skills, memorizing & taking risks. But in most areas it greatly surpasses the original. This is hands down one of the absolute best Metal Gear sequels as well as video game sequels in general. Most boss fights are fun as well as unique. It really all works incredibly well for an game like this. Some parts are difficult yet after taking an few notes. You will become an expert at this in no time. The whole end game portion is one of the best of the series. This game is really good for any console it's being played on. It's translations are notably better than the original Metal Gear. I highly recommend playing it with an great guide or watching an playlist of videos. Oh hell yeah Metal Gear Solid was an fantastic game. Yeah some parts of it's controls are okay. It still works well enough to get the job done. This game blew people away at the time with more over the years. Everything surpasses Metal Gear 2: Solid Snake in every possible way. Easily one of the best Metal Gear stories. There is surprisingly a lot of depth in this game. Most bosses are fun to take on with great codec conversations. Plenty of secrets for an two disc game. There does exist an alternation version release on more platforms. If you heard of Metal Gear Solid The Legacy Collection? Both versions of MGS1 are included as downloadable games for your PS3. I really could go on about how awesome this game is. As MGS3 was the best for Big Boss. Hands down MGS4 nails exactly what Solid Snake stands for. The last of his story being this damn good. Officially there exists two versions of this game with the later one adding trophy support. This was an early PS3 game that did push it's limits. In every possible area this blew even an game as good as MGS1 away. I am still impressive how good MGS4 actually is. I sadly never got to play it online but I did hear a lot of great things about it. 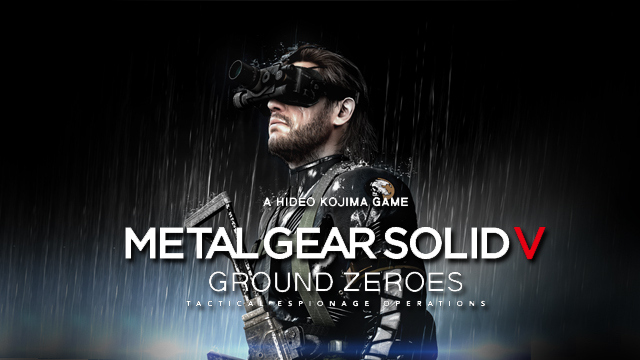 This game nails what Metal Gear is all about. Honestly if you have an PS3 please go play this game. It is worth your every penny to experience an truly unique experience. I hope you guys enjoy my blogs, if you like my work I may do more Metal Gear theme blogs in the near future. Until then I'm Jack Red & I'll out of here.